Earnest money is a deposit submitted within 2 business days of an offer being accepted. It shows your serious intent to purchase the home. Most often,the amount is estimated at 1% of the purchase price and the funds are held in escrow with theTitle Company. 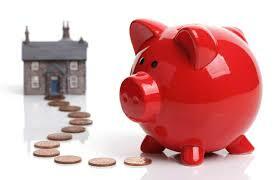 Earnest money is not a separate expense as itwill be applied to either your down payment or closing costs. Should the sale not go through, depending on the reasons, you could possibly get the funds refunded. Our team will protect your interests and steer you through the contract termsand conditions. Before closing on the house, it is highly advised to get a homeinspection. A Home inspection will verify if there are hidden issues and willprovide an in-depth analysis of the home, bringing to light things which mightotherwise be missed. These inspections generally run a 300-500 hundred dollars – depending on the size of the home,but are widely considered worth it as the information could save hundreds, if notthousands of dollars in the end. Home Appraisals are unbiased, professional opinions on how much the home isworth. Appraisals must be done before closing so the lender can verify that thevalue of the home is at least the amount the buyer is paying for it. While alsoensuring the subject is structurally safe, sound and secure. These can cost afew hundred dollars, but can often be rolled into the loan amount. Closing costs, sometimes called settlement fees, are paid when closing on ahome. These are fees charged by people taking care of the purchase process,including the lender and other third parties involved inthe transaction. Some of these costs can be rolled into the loan, allowingless cash out of pocket to be needed at closing. Government recording costs, appraisal fees, credit report fees, lenderorigination fees, title services, tax service fees, survey fees, attorney fees,underwriting fees, etc. The standard down payment forconventional financing is 20% of the purchase price of the home, though this isnot the only way! We have great lenders we can refer you to that have many options, from zero down, to lower 3-5% options. Keep in mind, if you opt for under a 20% down payment, you may be required to include Private Mortgage Insurance (PMI) which can be paid for all at once, or in monthly installments added to the monthly mortgage payment. Proof of homeowner’s insurance is required before the mortgage loan can be completed. Not only is it a wise thing to have, but insurance is required by the lender to ensure that the mortgage will be paid off, or the property will be repaired or rebuilt to its current value, in the case of disaster. You may also consider flood insurance, even if they don’t live in a flood zone, just in case. We also have a great list of insurance agents to refer if needed. It is important to check the property tax rate for the new home. Local rates can vary by area depending on school, fire districts, etc. The taxes will be pro-rated for the date of closing; you may owe the previous homeowner for some portion of fees already paid as they are paid yearly. The escrow agent will calculate the fees once a closing date is within range. Appliances/Furnishings – many homes don’t come with appliances or furnishings. Maintenance costs – unless the home is a fixer-upper, you may not have too much work to do, but should budget in small fixes and adjustments in the total budget. Monthly Bills – utilities, water, garbage, etc. Our team will work closely with you throughout the buying process to keep you informed and low stress. Give us a call today to get started!